What works for one family does not always work another. Tiffanie Smith shares practical tips to help you find your groove and make homeschooling work for your family. She also reminds us that it is okay to have the perspective of homeschooling just for this season. You don’t have to have it all figured out right now. Regardless of how long you have been homeschooling, you will be blessed by this interview! We can get so consumed by what others tell us education should look like for our children that we forget education can be living and joyful. Crystin Morris reminds us that when we spend time developing our relationship with our children and cherishing the time we have with them we can embrace the principles and educational philosophy we are learning about and implementing in our homes in a more organic way. She shares with us what this might look like during the preschool years and beyond. AHD028: How many days of instruction do I need to plan? 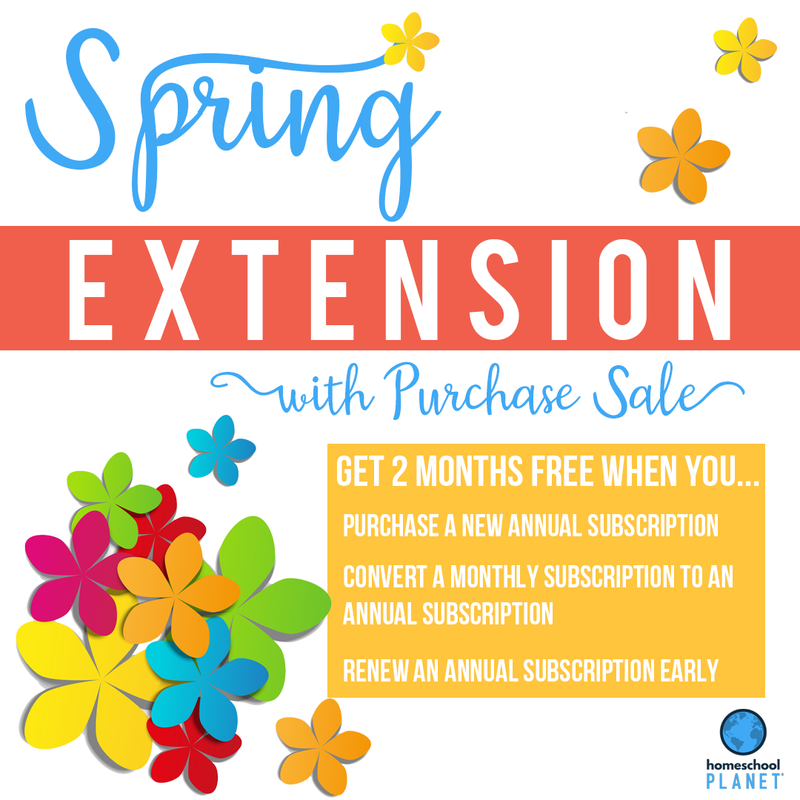 How many days of instruction do you need to plan for your homeschool? Since most curriculums come with 180 days of lesson plans we often assume we need to plan and teach 180 lessons from the book. In this episode, I share why this approach did not work for our family and what we do instead. Your family has a unique culture. And it’s okay to embrace it! Emily Copeland shares how she learned that it is okay to embrace what makes your family special. 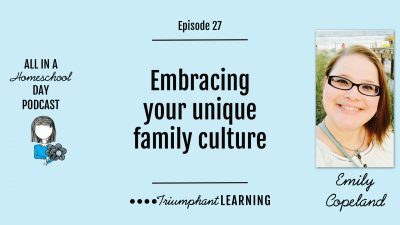 Once she learned how to embrace her philosophy of education and still sprinkle in the things that her family loved, she was freed to create a family culture that allows her to build connections and relationships with her children. Leah Martin provides an interesting perspective as she shares the process she went through of letting go of other people’s expectations of what her children should be learning and how their homeschool should look. She reminds us how the early years requires a very different approach than the school years and what that looks like in her home. She also relates how she has learned the value of building her children’s skills and abilities to learn in many different learning styles. Dana Wilson reminds us that we can provide a customized education for our children that will not look like anyone else’s. She shares how she has been able to provide her children with what they need through their home education journey. She also shares advice she has learned along the way that has made a life long impression on her children. AHD024: There are so many distractions! We all have good intentions. We might have nicely made lesson plans or we might have a general idea of what we want to accomplish during the school day. At the very least, we all desire to have a productive homeschool day. And then the day gets started and after what seems like a gazillion interruptions we realize it is 11:00 and you have accomplished almost nothing! 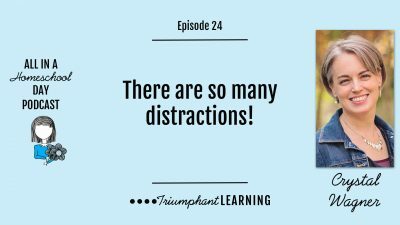 In this episode, I share the strategies I use to minimize distractions so our homeschool day stays on track. Homeschooling our children is an adventure and unfortunately, it does not come with a guidebook. Heather Haupt, a second generation homeschooler, reminds us in this episode of the importance of making plans but holding them loosely. Having a plan allows you to be intentional. Holding that plan loosely allows you to make changes as needed to help your children succeed and learn in their own way and at their own pace. It can be so easy to lose sight of why we are homeschooling in the first place. Ruth Adams, a second generation homeschooler, reminds us to keep the proper perspective as we homeschool our children and ask ourselves what is really important in the long run. Recognizing the needs of our children can be one of the hardest things we do as parents and home educators. 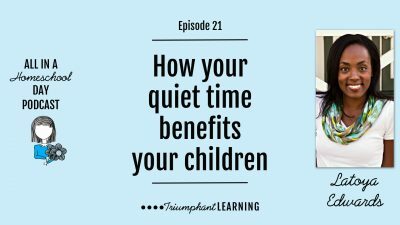 In this episode, Latoya Edwards reminded us that when we take advantage of small moments of time to center ourselves by spending time with God we are able to be more observant and aware of our children’s needs. She shares practical tips from her own life of how you can make the most of the small moments you have during your day. AHD020: I don’t have the patience to homeschool! Have you said, “I don’t have the patience to homeschool!”? If so, then this episode is just for you! These practical tips will help you develop the patience and mindset to successfully homeschool your children. Holly reminds us of how important it is to create an atmosphere where the whole family can find joy. She knew homeschooling would be the best fit for her son. He is uniquely made and homeschooling would allow her son to have a unique education that fits him. What she didn’t realize was how much she would learn and how much she would enjoy it too. 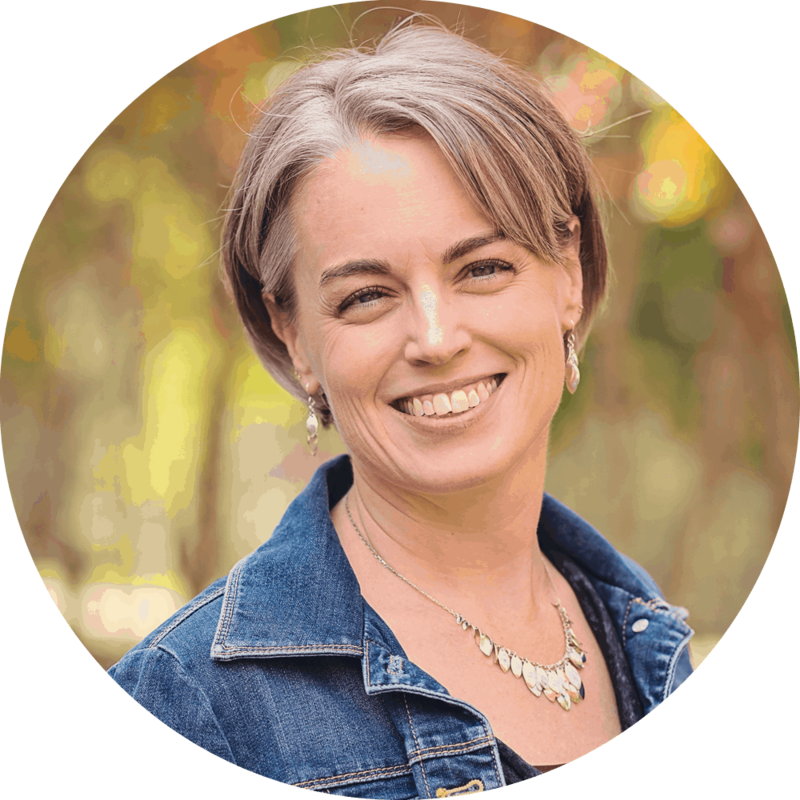 Misty Bailey describes herself as a reluctant homeschool mom of 3 children. In this episode of the All in a Homeschool Day podcast, she tells us why she describes herself as a reluctant homeschooler as well as gives us advice and practical tips for homeschooling a child with special needs. Plus, she reminds us of the one thing we should stress over academics. Have you thought about how these five things might be affecting your homeschool?